The Silver City MainStreet and Arts and Cultural District work to make our downtown more vibrant through creative placemaking, encouraging artisan live/work businesses, and fostering the creative economy through monthly Community Coordinating Council meetings. At these meetings we cooperate by sharing best practices, coordinating events, and supporting each other. Meetings are held the second Thursday of each month at 9:00 am at the Murray Ryan Visitor Center, unless otherwise noted. Established by the New Mexico Legislature in 2007 as a comprehensive economic development strategy designed to capitalize on the expanding “creative economy,” the program is an inter-agency collaboration between the Economic Development Department, the Department of Cultural Affairs and the Tourism Department. Our direction is toward place-based economic development focusing on the unique cultural and arts assets of each authorized district. In 2008, the first two pilot districts in New Mexico were authorized: Las Vegas and Silver City. The New Mexico Arts Commission is the state authorizer for new Arts & Cultural Districts while New Mexico MainStreet administers the program. State-authorized Arts & Cultural Districts receive incentives such as assistance with developing cultural plans and enhanced historic tax credits for the rehabilitation of historic structures within the district. Each partner offers specialized assistance to the districts. Silver City is a town of 10,000 residents, nestled in the foothills of the Gila National Forest. Founded by silver miners seeking their fortunes, downtown Silver City is now home to a vibrant arts scene with a diverse mix of galleries, restaurants, and maker-spaces. Painters, potters, printmakers, weavers, glass blowers, jewelry makers and other artisans have made their home here. 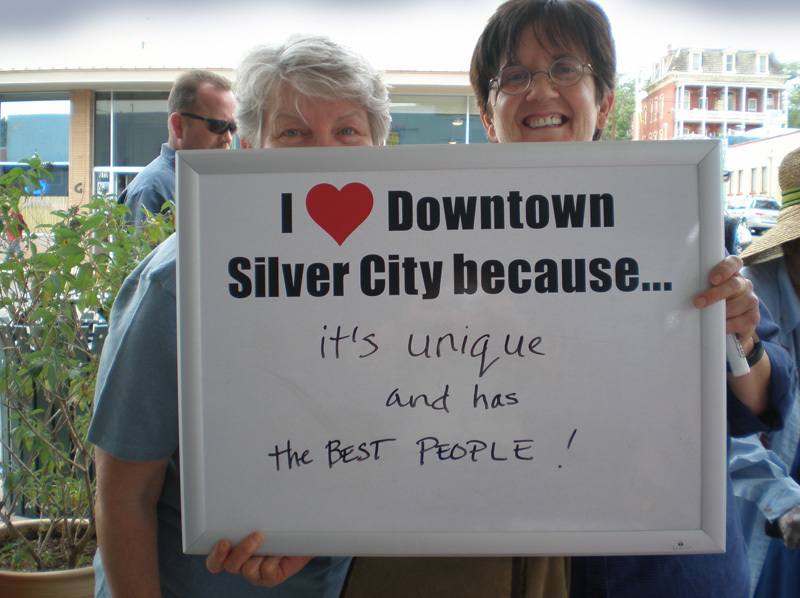 To learn more about creative Silver City, please visit these sites and you too will be amazed at the variety of arts and cultural activities in our small town.